If you are going to walk the walk, you need to talk the talk. Caning is method of weaving using long narrow strips of the peeled bark or skin of the rattan vine. 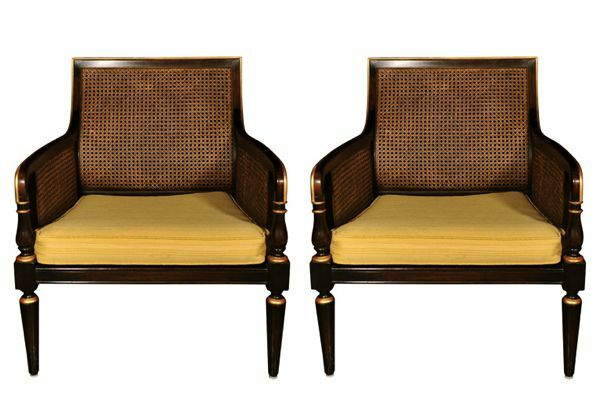 Typically used to construct seats and backs of seating furniture. 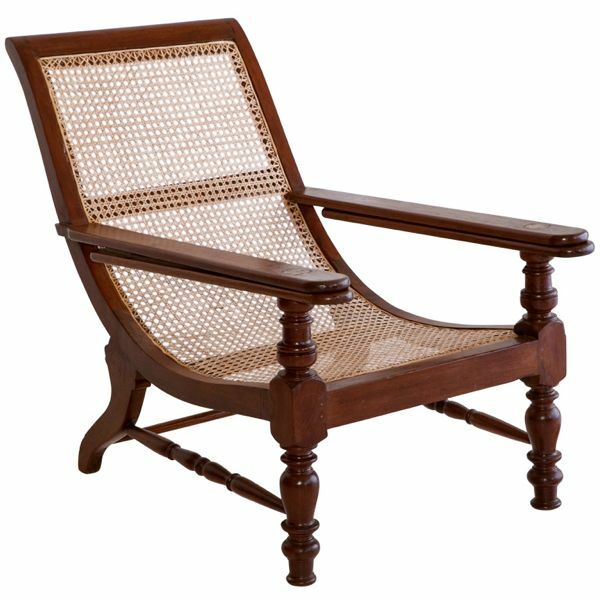 It originated in India and became widespread in the 19th century with the wholesale importation of rattan from Malaysia. These terms are easily confused. 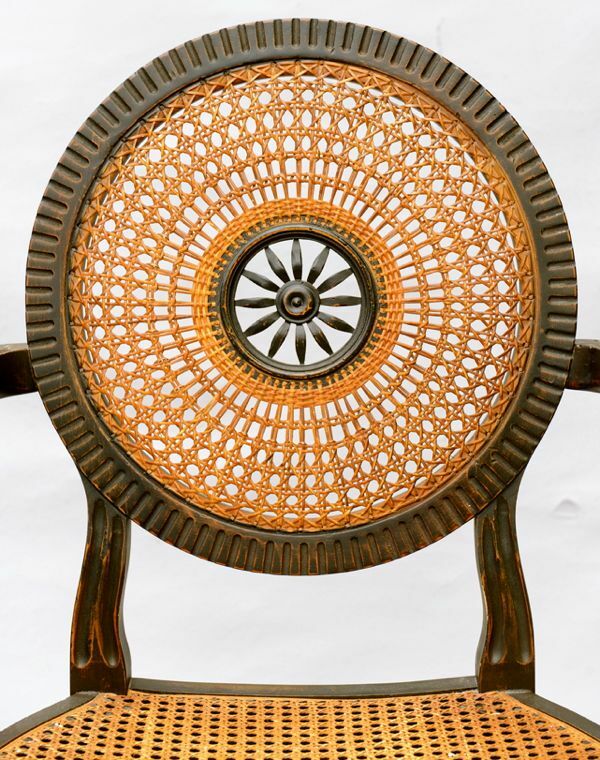 Caning, as it applies to furniture, refers to the specific craft of weaving in rattan bark with the distinct open pattern. 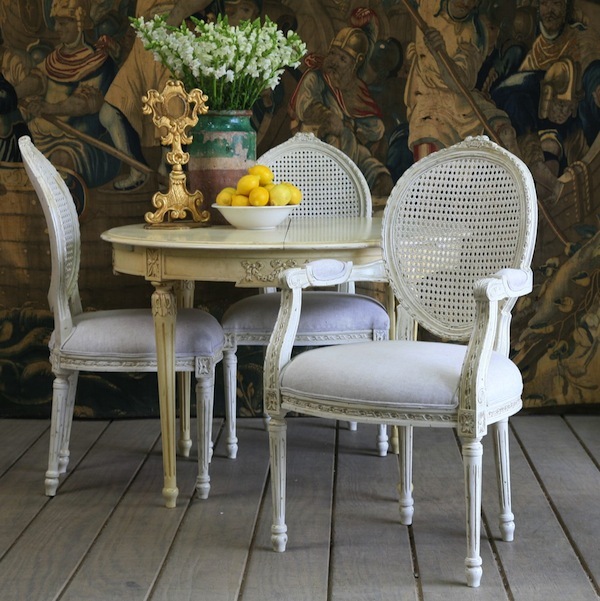 Wicker is a method of weaving with any number of materials such as willow or rattan reeds as well as man made paper based cords, often in a flat manner. 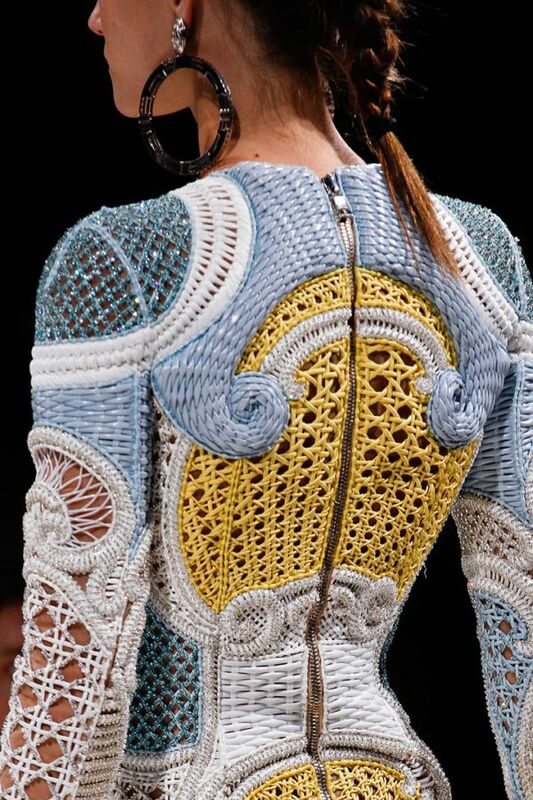 First image, Balmain, RTW, S/S, 2013 from my tumblr. Second image, my tumblr. Furniture shots from 1st dibs. Picasso. Room shot. Last 2 images here and here.